Dressed in Amit Shah's signature kurta and Nehru jacket, Joshi looks strikingly similar to the BJP politician. 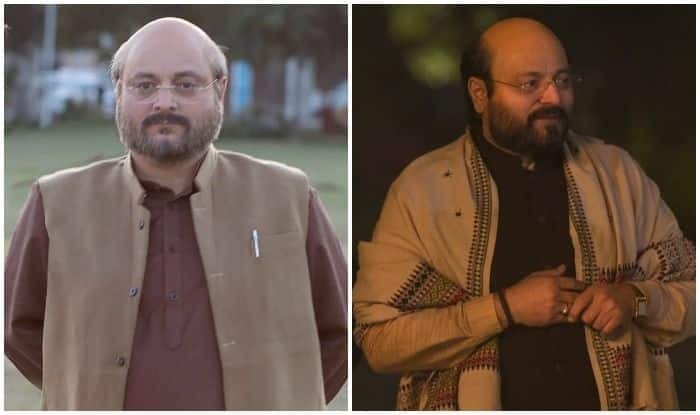 The latest entry into the cast of Omung Kumar directorial, PM Narendra Modi, is theatre veteran and well-known film actor Manoj Joshi who will be essaying the role of Amit Shah. While actor Vivek Oberoi will be essaying the titular role, the movie will also feature Boman Irani, Suresh Oberoi and Zarina Wahab in pivotal roles. Indian film critic and trade analyst Taran Adarsh shared Joshi’s first look as the character, on his Twitter handle and wrote, “Well-known theatre and film actor Manoj Joshi to portray #AmitShah in #PMNarendraModi… Vivek Anand Oberoi essays the title role… Omung Kumar B directs the biopic… Produced by Suresh Oberoi and Sandip Ssingh… Here’s the first look:” (sic). Reportedly, the film will be shot across Gujarat, Delhi, Himachal Pradesh and Uttarakhand, among other locations in the country, over a period of a few months and will hit the cinema screens around the time of Lok Sabha elections 2019.